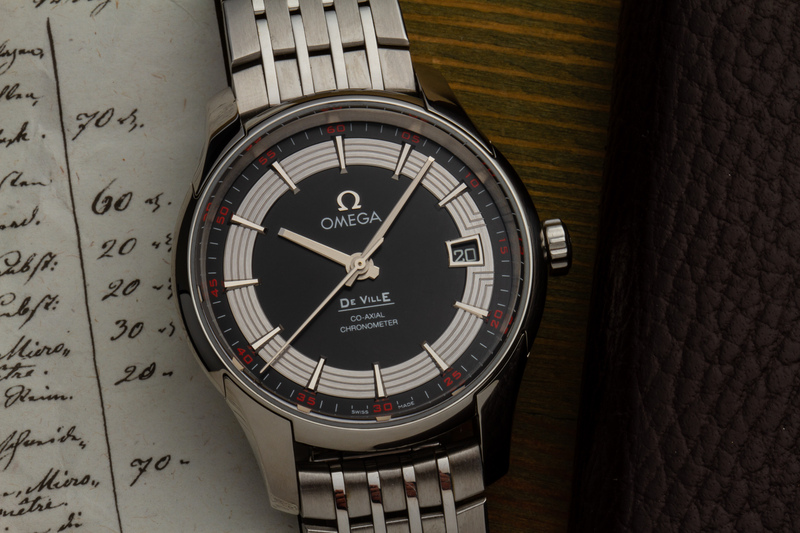 The Omega DeVille Hour Vision is a stunning yet often overlooked watch. 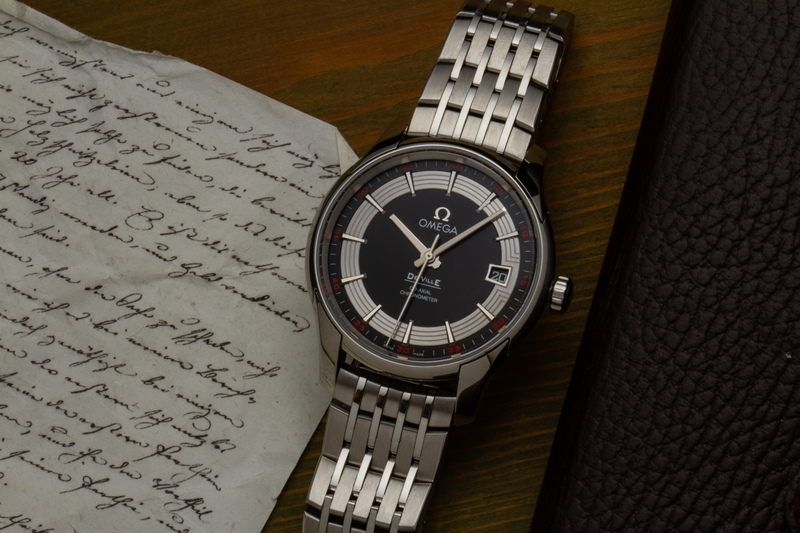 It was originally introduced in 2007 as the first watch to feature Omega’s new caliber 8500. 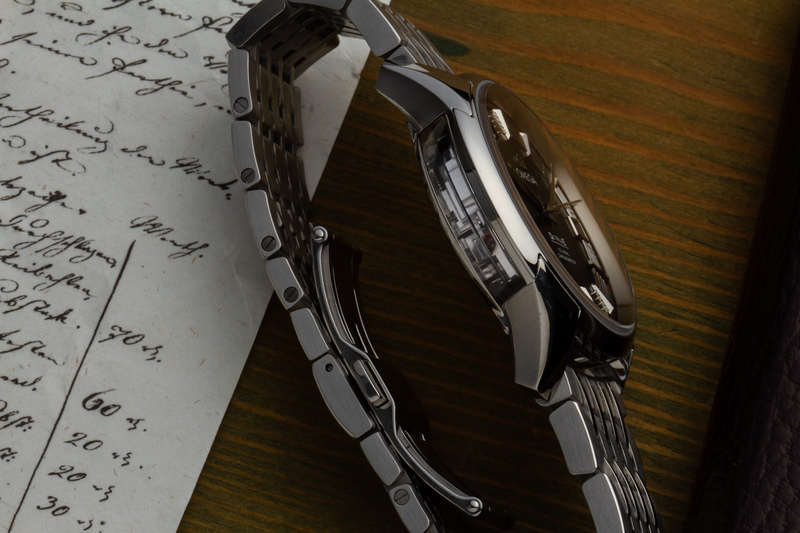 In this watch that movement can be admired not only from the back, but also from the sides of the case – spectacular. 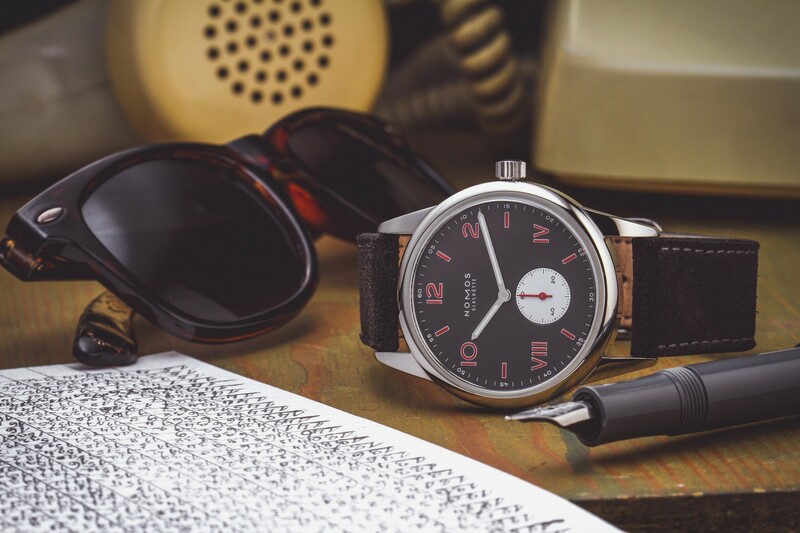 This is a used watch in fine condition, complete with box and papers. 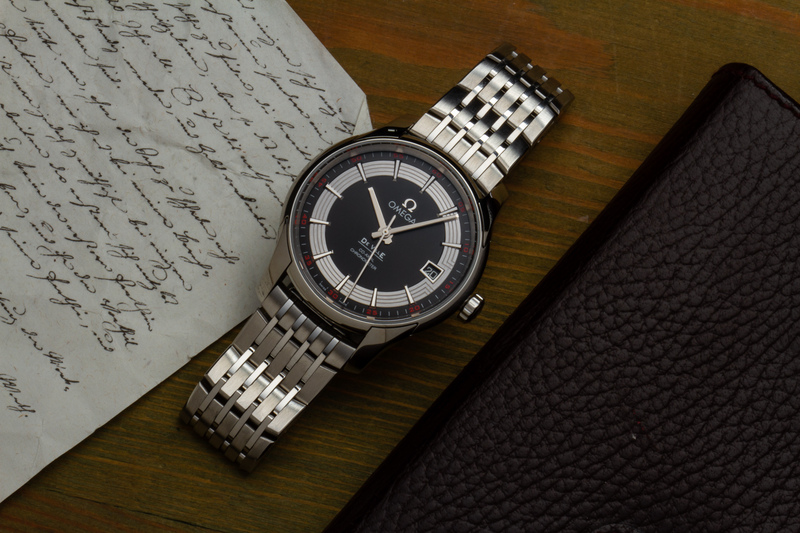 The Omega DeVille Hour Vision is a watch that we think deserves some time in the spot light. Although introduced over a decade ago it is still beautiful as ever. 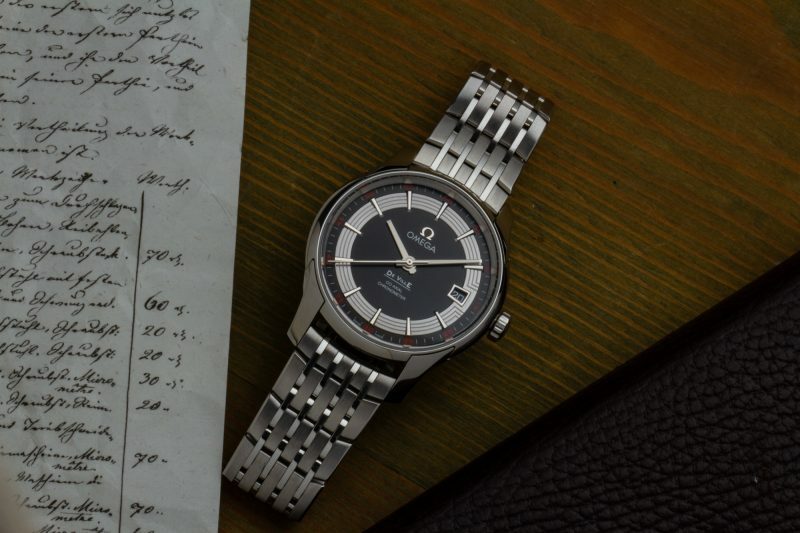 Back in 2007 it was Omega’s flagship model, the first watch to be fitted with the brand-new caliber 8500 (and 8501 for the gold models) movements. While the DeVille is Omega’s classic line of watches, they went out of their way to make the Hour Vision into something spectacular. 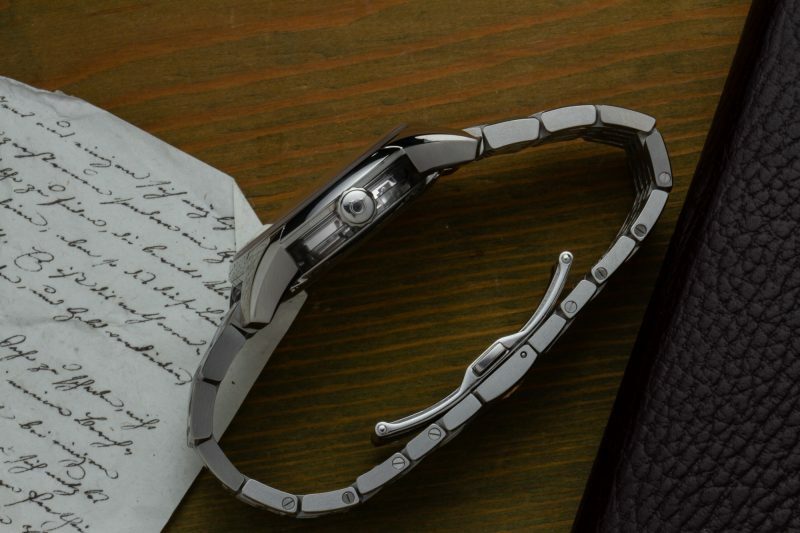 The most unique feature is the case. 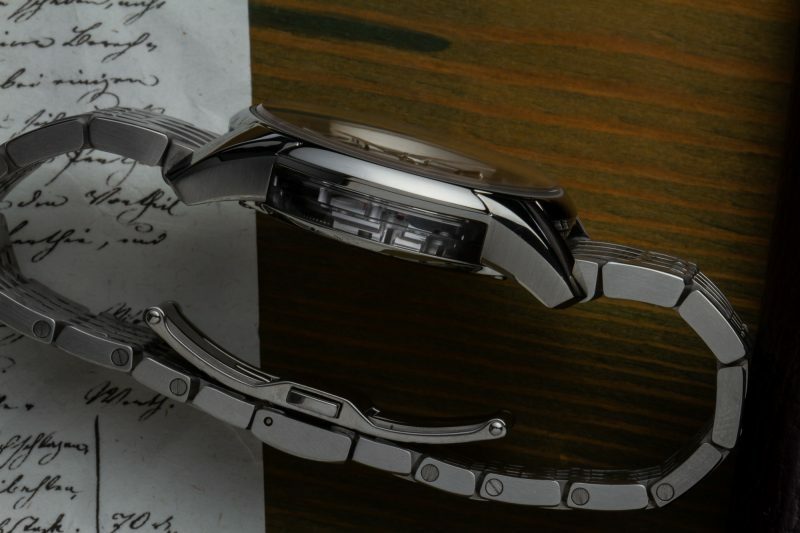 It features a sapphire section in between the case back and case body, which allows for a view of the movement from the sides of the case as well. Not very useful, but very, very neat! 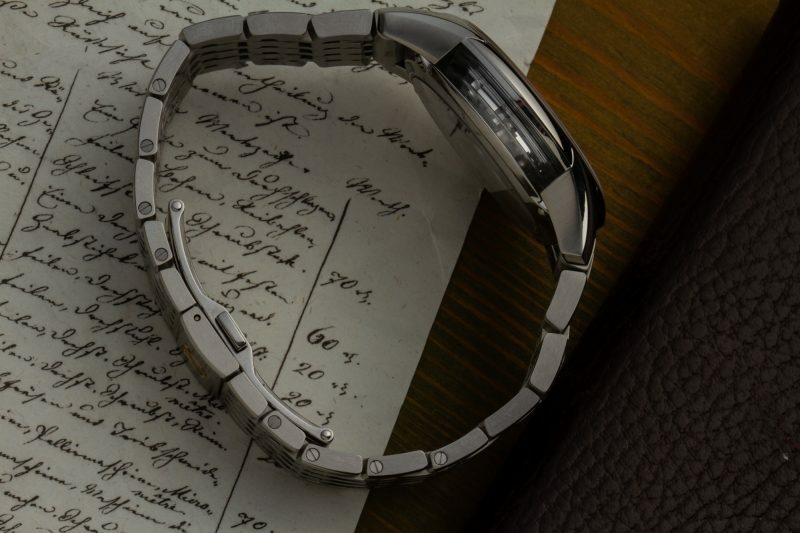 The case measures 41mm across and is water resistant up to 100m, making it an ideal daily companion. 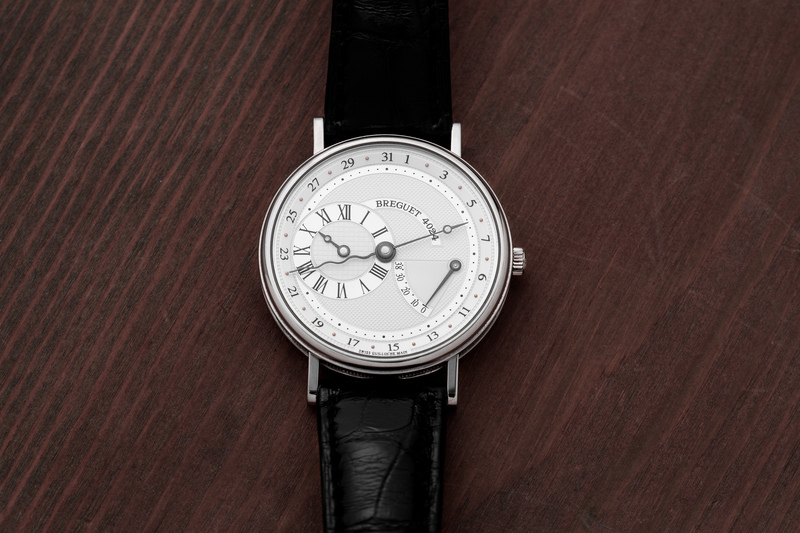 The dial is another work of art. The applied markers and the geometric ring connecting them are superbly done. 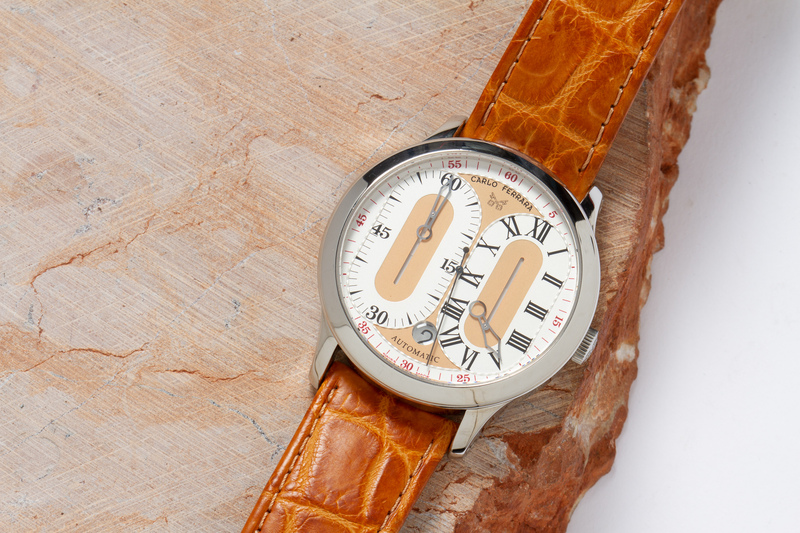 The red five minute markers add a slight sporty touch. 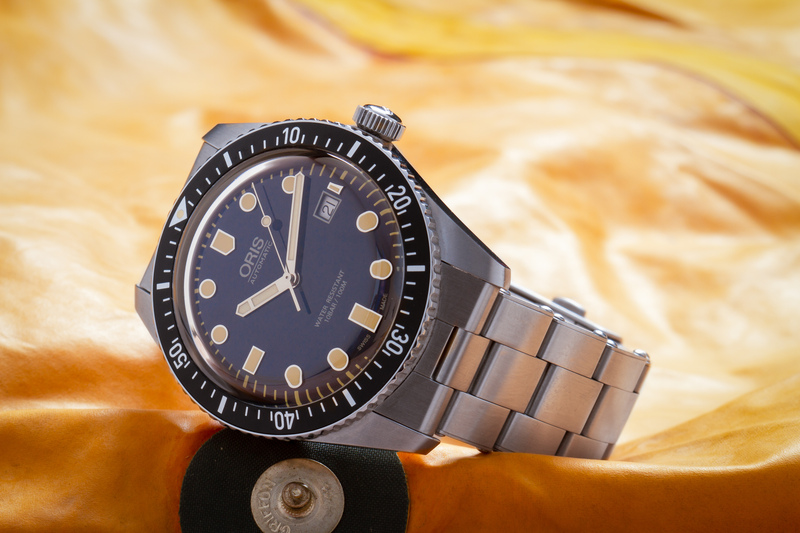 The facetted hands are of the perfect length – just take a look at the the picture above! The nine-row bracelet on the Hour Vision hints back to the fifties and sixties, yet it is thoroughly modern in construction. 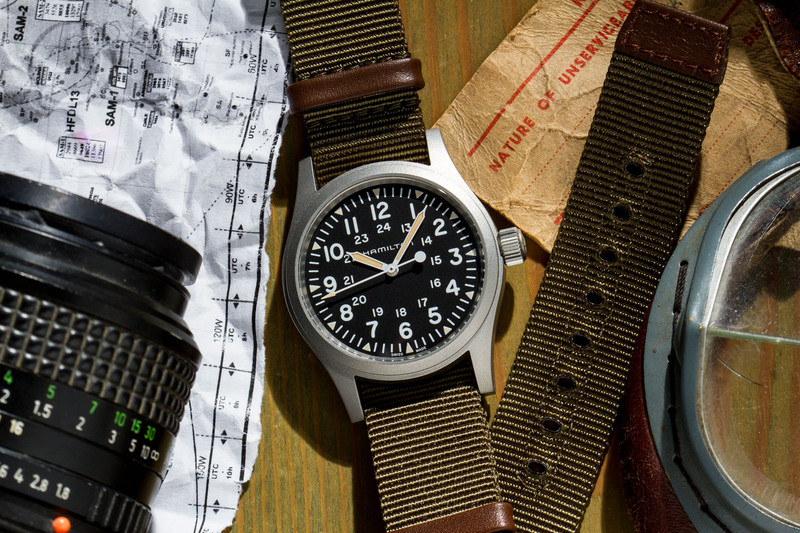 It’s solid, heavy, and expertly crafted. 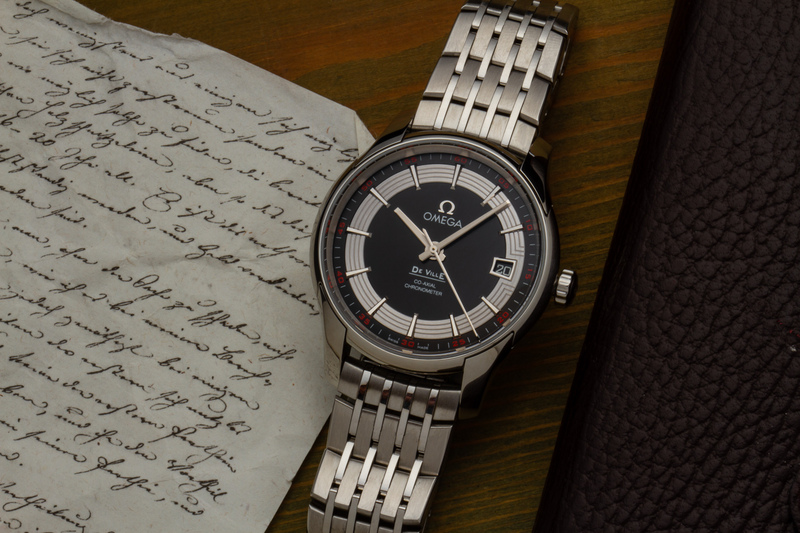 This watch comes with the original box and papers.